Understanding and working slavishly to set leadership models can mean missing some of the fundamental elements that will make you an effective leader - being true to yourself and others whilst at the same time maximizing your own strengths and personality characteristics. 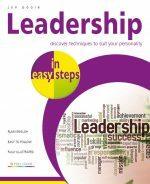 Leadership in easy steps provides a pragmatic and practical look at the key elements that will help you to become a truly effective leader of people. Leadership in easy steps is designed to help you discover more about you, your personal strengths and your potential and so become a genuinely inspirational leader of people. 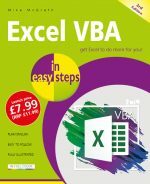 As well as describing some of the fundamental elements of leadership, Leadership in easy steps also provides a number of simple exercises and assessment techniques that will help you determine your own unique style of leadership. Jon Poole has been a development specialist for more than 20 years, running his own development practice for the past 10 years. During this time Jon has developed a coaching model in conjunction with top sporting names (for example past England cricket captain Graham Gooch), taking trusted coaching methodologies from the world of sport and applying them within a sound business context. This model has been the basis of highly popular and successful workshops he has run for managers at all levels. He also has first hand experience of having personally coached many senior managers over the past 20 years in the commercial, public and not-for-profit sectors. His pragmatic approach to leadership has helped bring on many top leaders through coaching as well as through his highly practical leadership development programmes.